The past few years have seen the growth in popularity of alternative grains (like quinoa) but recently the trend towards grain-free living has given rise to grain alternatives like coconut flour and now, grape seed flour. 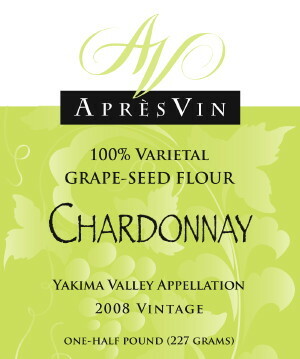 One of the most well-known producers is ApresVin, located in Yakima, WA, who produce wine, plain and infused grape seed oils and now, grape seed flour. Naturally high in protein and antioxidants, ApresVin’s grape seed flour comes in four flavors based on their respective sources: Chardonnay, Merlot, Riesling and Cabernet Sauvignon. The Chardonnay, for example, has a buttery graham-cracker taste and the Merlot has a fruity-cocoa flavor.